A brand new look for item pages! 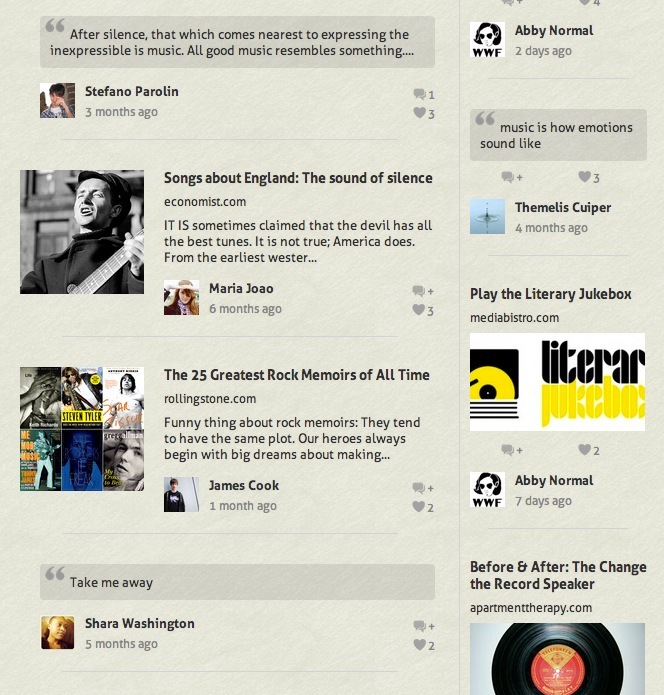 Every day CircleMe users are finding interesting content about their Likes, both on the activity page and from the item pages themselves. So today we’ve launched something very exciting: New item pages. More visual and more engaging! Now when you visit the page for one of your Likes, we’ve made it easy to see all the posts that other CircleMe users have shared on that item with the new item page layout. This is a great way to catch up on the latest news and videos related to your Likes, as well as checking out some of the shared views. As you scroll down the new item pages you’ll find all the content displayed in two columns, making it easier than ever for you to find interesting stories. Only interested in seeing videos? You can filter the content by category, meaning that clicking on ‘Media’ would just show you all the shared videos. 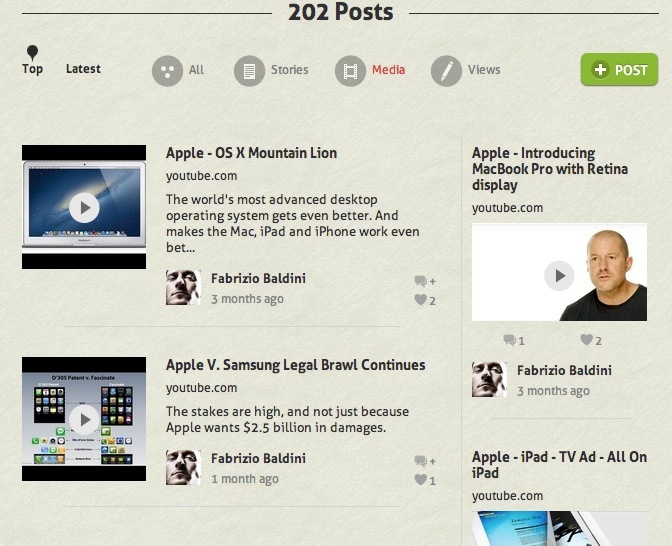 But that’s not all, it’s now easier than ever to share something on CircleMe! 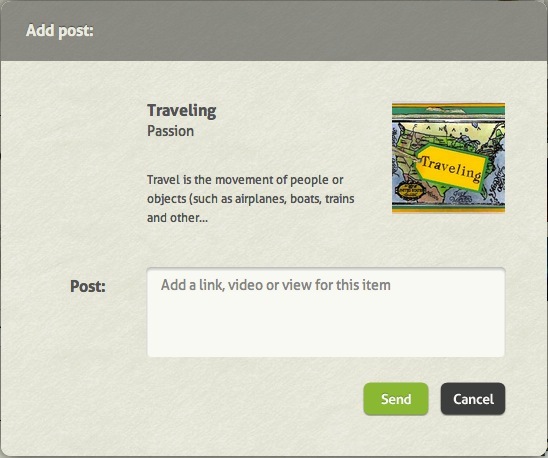 Simply click on the new ‘Post’ button and you can share a view, a link, or a video, all from the same menu. We hope that you all like the new item pages, as you can use them to find and share interesting content and the new posting layout makes it really simple to start a conversation on any item on CircleMe. We’d love to hear what you think about the redesign! Get in touch with us by email at info@circleme.com, or by visiting our Facebook or Twitter accounts.